Would it be worthwhile to put solar panels on an EV? It’s a great sentiment, as the two seem to go together quite well. In short, however, the answer is no. Now, I’m talking specifically about outfitting an Electric Vehicle with photovoltaics. Installing them on your home or business makes a ton of sense, with or without owning an Electric Vehicle. It’s just not sensible to do so on the car itself. 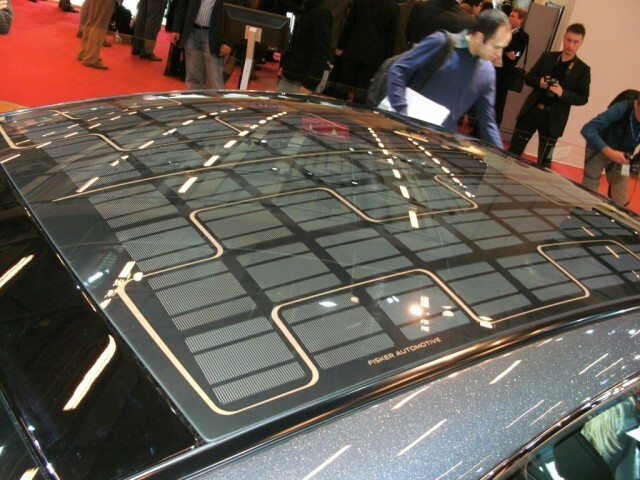 The above photo is of a Fisker, and is basically what a car lined with photovoltaics would look like. Disclaimer; when you talk about solar energy, the devil is in the details. What’s the rating of the panel? What’s the inverter and wiring efficiency? What’s the distance between the panel, inverter, and meter? What’s the geographical location and time of year? What’s the local weather patterns like? In short, there is no one-size-fits-all answer to questions about solar energy. With that in mind, I’ll be using data from my own home solar system, so the data matters to me and maybe not so much to someone else. I’m selfish like that. Also, I’m not an electrical engineer so I might be missing certain details. Bah humbug. With that said, let’s dive right in. Put it all together and you’ve got about 111 square feet of surface. Any inaccuracies here can be blamed on the fact that I was taking these measurements with my 7 year old son holding the end of the tape measure and I was more concerned about making it fun for him than being precise. On my home I have SolarWorld 280 panels, which give 280 watts at peak, and 18 square feet each. So, the car has enough area for 6 of these, once they are properly chopped up to fit on the various surfaces. All in all, you’re going to get 15 watts per square foot of panel at peak output with this system. That’s a 1,680 watt system. I paid about $3.60 per installed watt on my home solar system before government incentives, so this hypothetical Tesla Solar system would run just over $6,000. Being built into the car, it would probably cost a lot more. However, at any given point, you’re going to have, at most, about 66% of the surface of the car in the path of sunlight. Also, most of it won’t be optimally facing the sun, so you won’t get the peak output. Therefore you have a massive drop in capacity. So, let’s call it 75 square feet at 10 watts per square foot, or an average output of 750 watts. That’s being incredibly optimistic, and not taking cloudy days into account. A loss of 20% overall production due to weather seems like an accurate estimate. Additionally, you have added weight and aerodynamic concerns. For arguments sake, let’s say the car’s shell was made of the panels, that they fed directly into the battery (no inverter needed), and there are no changes in weight or aerodynamics to the car, which toes the line of being unrealistic. On a nice and sunny day during spring or fall, when there is the year’s average amount of daylight, Salt Lake City gets 5.25 hours average of solar radiation. 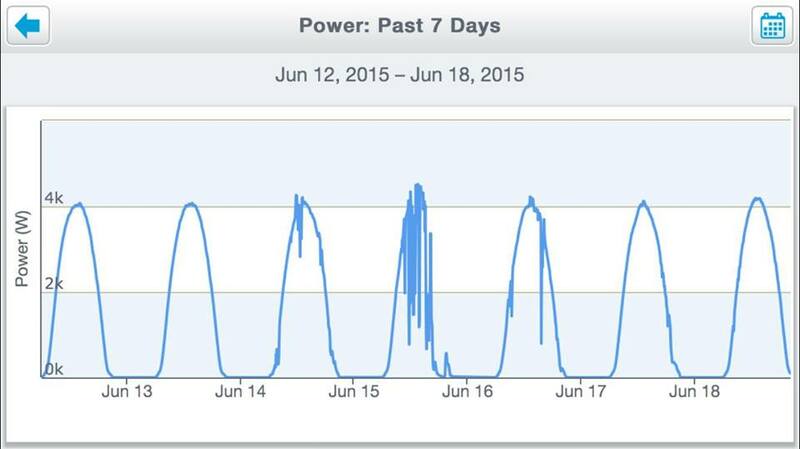 750 watts x 5.25 hours x 80% weather = 3150 watt hours, or 3.15 kWh in a single day, give or take. That’s an oversimplification of the equation, but is close enough. Tesla Model S has a range EPA of 300 watt-hour per mile, so 3.15 kWh of energy would give you roughly 10 miles of range. However, if we’re talking about the car just sitting there all day, the topic of vampire drain applies. This is the amount of power the car draws to power its systems even when the car isn’t in use. 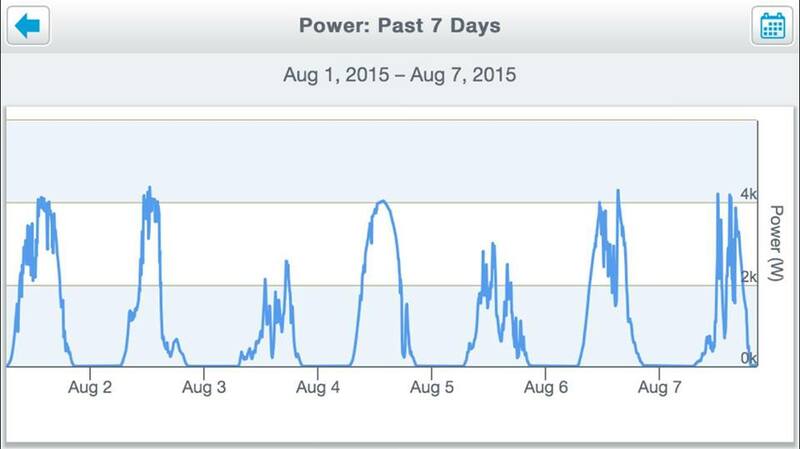 I want to say I lose about 10 miles in a 24 hour period while not plugged in. That number varies from day to day depending on a lot of factors, but 10 is an easy to remember number. You’ll lose maybe half that in energy saving mode, which the car automatically after it hasn’t been driven in a while. In short, my car covered in a magical photovoltaic shell would cover the vampire drain, and maybe add a few miles to the meter during the summertime. And that’s best case scenario. Then again, my car is in covered parking at work all day, getting no sunlight, so really it wouldn’t do me any good. Now, you can argue that the system I’m analyzing is a far cry from the latest and most efficient, that you may not drive very much on a daily basis, etc etc. The real question ought to be; do you want to spend thousands of dollars to never have to plugin your car for your short daily commute? If you have more dollars than sense, then go for it. Otherwise, you’re better off spending that money properly installing the panels on a roof that will optimally capture that sunlight, and taking the 10 seconds a day it takes to plug and unplug the car. For comparison, that same $6,000 system when optimally installed on a south facing roof would produce a year-average of at least 6 kWh per day, with the above weather taken into account. That’s twice the energy, and it’s without the cost and headache of figuring out how to line an entire car with photovolatics. Not to mention how ugly it would look. Just pay someone to bolt the panels onto your roof, and you’re done. It’s the American Dream; a family singing in harmony while on the open road, traveling to a destination everyone wants to go to, and stopping at a series of tourist traps. Are you kidding me? For my young family, travel has never been anything like that. Years of “I feel carsick!” and “are we there yet?” echo through my mind. Add the cost of gas to that, and it hardly seemed worth it. Why pay a bunch of money just to have everyone constantly complaining? We took a long road trip maybe once or twice each year, and day trips weren’t something of desire. That is, until we got our Model S.
You see that? 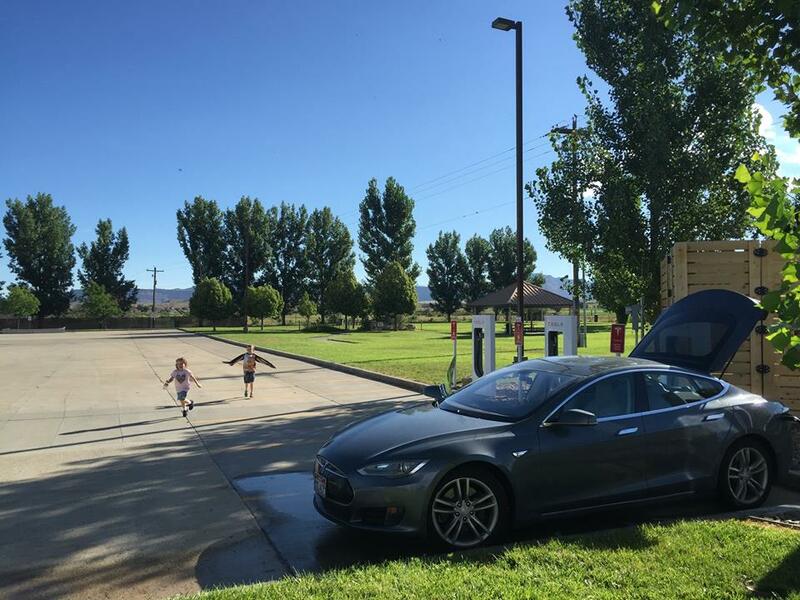 There’s something about the Model S that’s transformed the perception of road trips amongst my children. My best guess is it’s because they don’t get carsick anymore; it was a major problem. Then we got Model S, and suddenly it wasn’t. There’s also the cool factor of a sleek looking environmentally friendly high performance vehicle compared to the sputtering mommy-mobile we were driving before. The car is simply much more fun to be in. The 6 months since we got the car have been the aforementioned American Dream. Sans the singing, of course – that’s a little too cliche for my taste. Also, I don’t ever hear “are we there yet?” anymore. The kids have figured out how to read the map on the 17 inch touchscreen. I’ve now got four budding orienteering specialists on my hands. I don’t have the performance Model S, but the car still has plenty of kick. When the stop light turns green and I’m up front, the rear view mirror fills with other cars still seemingly at a stand-still, and I’m not even flooring it. On occasion when I do, like when getting onto the freeway, the car’s interior echos with the giggles of happy children asking for more. Recently when I joked that after regular trips to the local theme park that the car must feel sad that it’s always taking us there, but never getting to ride any of the rides, a child quickly informed me that the car itself is a roller coaster ride. 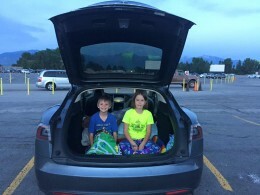 You could call Model S a Fortress. Not only because it has the highest safety rating of any car ever made, but because there’s so much room in it! 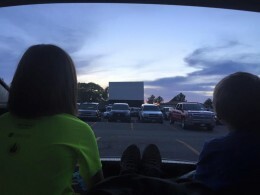 Take the drive-in theater, for example. Most people bring lawn chairs, or sit in the back of their pick-up truck. Few actually stay in their vehicle because it’s cramped and uncomfortable. Not this car – pop the hatchback, fold down all the sets, and you’ve got plenty of space to just veg out. Previous to Model S, long road trips were maybe once or twice a year. Now, they’re almost monthly, and that’s not counting weekend day trips. Before, going places was a chore. Now, we’re always going somewhere, and I have the supercharger network to thank for that. Being concerned over the price of gasoline is a distant memory, as now we can go literally anywhere the road can take us without paying a dime for fuel. In 6 months of ownership, we’ve put over 12,500 miles on the car. The only problem is, we’re only just past halfway through the year, and I’ve used all my vacation days! In looking for places to go and things to do, we discovered a ghost town nearby with roots to our past. I was raised in the small town of Laie, Hawaii, where two of my kids were born before we left for Utah. In the nearly 10 years we’ve lived here, we hadn’t heard of the place; an old colony of Hawaiians who settled in Utah. The only reason we discovered it is because of Model S motivating us to seek out places to go. 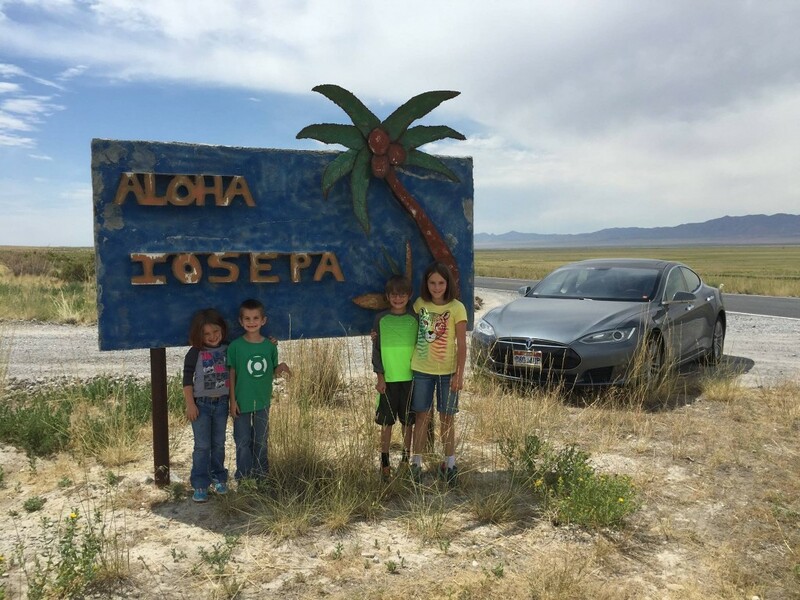 It was a great day trip, and we’ll be going back, thanks to the Tesla Supercharger station in Tooele County. I have no plans to sell Model S, nor buy a gas car ever again. 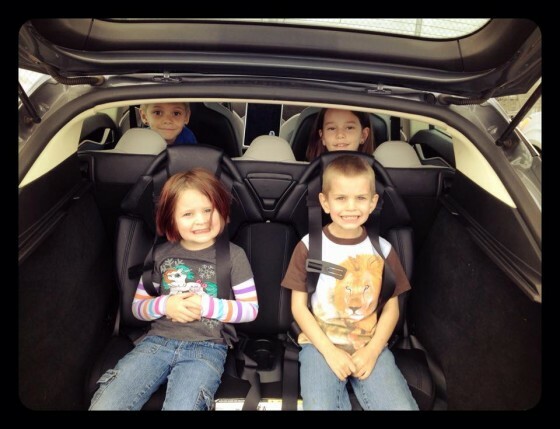 When my little ones outgrow the jump seats, we’ll be buying a Model X. It just so happens that at that time, my oldest daughter will be driving age. 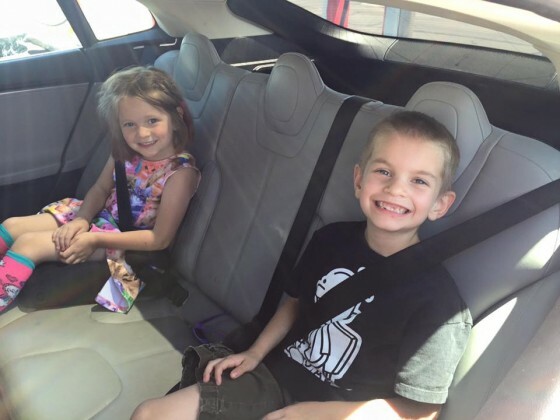 Her first driving experience will be in an electric vehicle. It is my hope that all of my children will enjoy the awesomeness that is this car, and never have to press the peddle of a gas powered car in their life. For those of you who loosen their belts and consume unhealthy amounts of food today, have a merry time! For those of you who don’t, you’re free of all the family drama. For those of you who say “Happy needless turkey murder day”, the needless turkey murders happened about a month ago. Today would be “needless turkey consumption day”. Whichever of the above you fall under, have a great day. Just under two weeks ago I gave a talk at LinuxCon 2012 in San Diego. It was a great experience, and I hope to do it again in the future. Too bad I could only stay for one day, as I could only break away from work for a short amount of time. Here is a link to my time slot. The title of the presentation was “Distribution Kernel Hardening”. It talked about kprobes, ksplice, and my tpe-lkm kernel module. I have uploaded my presentation slides and my speaker notes if you would like to have a look, since my session wasn’t recorded. Enjoy! This week I have been toying around with the idea of hijacking the linux kernel pointers, instead of overwriting functions, to implement security features. Well, tonight I pushed a big commit to tpe-lkm that implements all the features entirely with this new method. It’s currently in a “dev” branch, as it’s not been fully tested. So far, however, the method seems promising. My oldest is able to read, and the other day she expressed interest in comic books. Of course I can’t say no to that 🙂 The marvel stuff is still above her reading level, but you have to start somewhere, right? This evening I pushed a commit for tpe-lkm that checks if the symbol is already hijacked. If it is, it doesn’t bother to hijack it, and spits out an error. This check was a side-effect of my thinking of implementation details for a kernel integrity check module. The basic idea; continually check certain “vital” areas of kernel memory for suspicious activity, and take predefined action upon discovery. Kind of an anti-rootkit kernel module. As I get some more time in the coming weeks, and after some google searches on the subject, I’ll give more details, and hopefully some code to go with it. Well, now you can. At least, with certain versions of the linux kernel, that is.